I have a love/hate relationship with plants. I love them, but I think they hate me since they keep committing suicide to get away from me. For the longest time I could only keep the little fake succulents around since all my other attempts at plant ownership were disasters. I have, however, decided that this year is the year of plants, and so I have acquired a few different varieties to scatter around my house and we’ll see which ones go down first. My taste in decorating is certainly on the modern side of the spectrum. 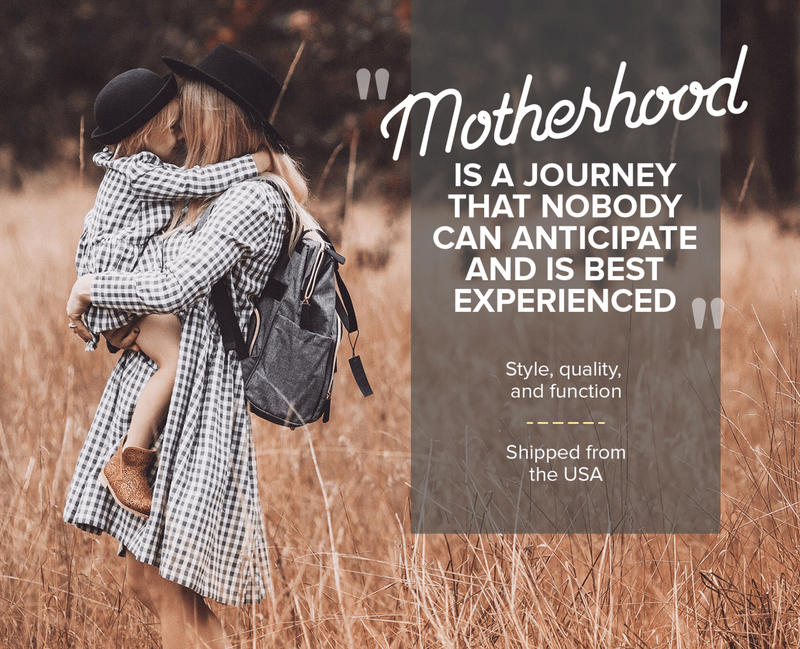 While I love the sleek lines and minimalist features that go along with the category, it can appear a little “cold” at times, and I also thought the plants would help with that aspect as well. Last weekend Todd helped me put up a little plant shelf in our bedroom using basically the same technique that we used on my bookcase shelves in my art room. 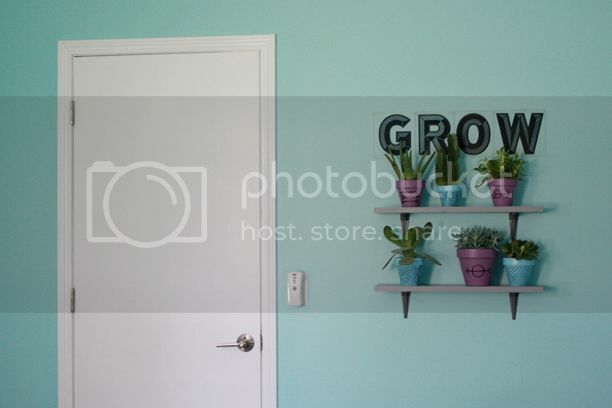 I found these awesome marquee letters at a vintage shop in town, and I bought a bunch for a few different projects around the house. 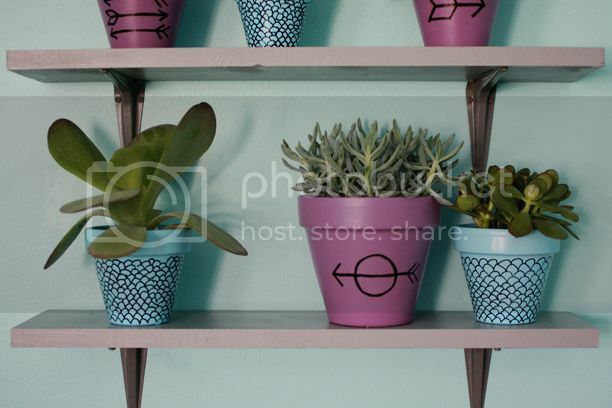 Once I put the letters up and painted a few pots for the plants to live it, the shelf was ready to be inhabited by it’s new leafy friends. We have to be careful with plants around the house since most of them are poisonous to cats (which I didn’t know until this year). The plant shelf option makes it possible to have some of the dangerous ones around without worrying that Charlie will get into them. I’m happy to announce that as of this post, all these plants are still alive! 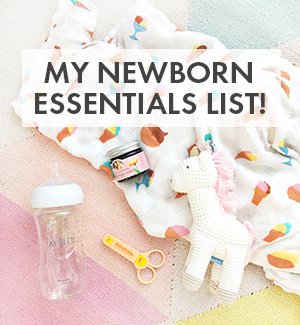 We’ll see what happens in a few weeks, but if you have any tips on keeping them healthy, let me know! 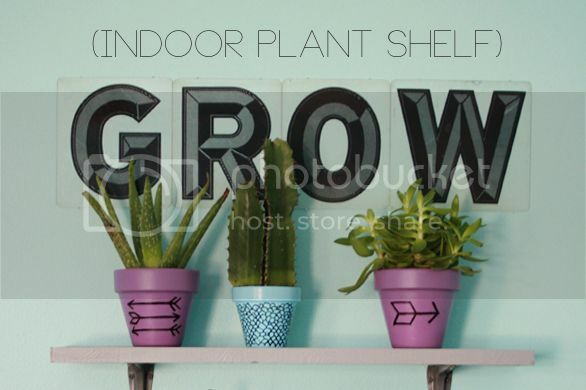 Categories: Home Decor | Tags: plant, shelf | April 22, 2013 by thebandwife. My plants won’t stop committing suicide either – what’s up with that?! 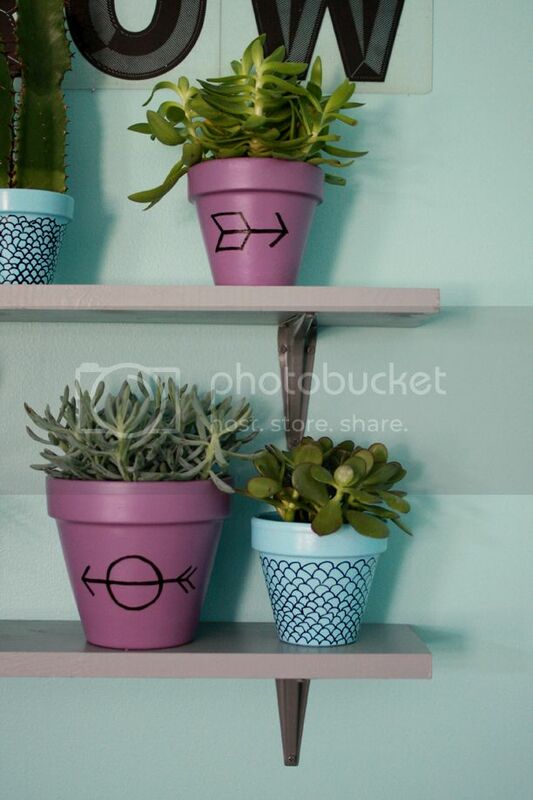 I love this shelf idea and the cool designs on the pots. The GROW on top is a nice finishing touch! Not that I’d be much help, because I kill half my plants too, but don’t over water them. Wait until the soil looks dry. Over watering is a death sentence for cacti/succulents. Many if my plants have faced that end. I’ve wanted to have some plants in my room for a long time but my cat thinks everyone is her catnip. i think i might try something pokey, i already have a shelf with empty space. 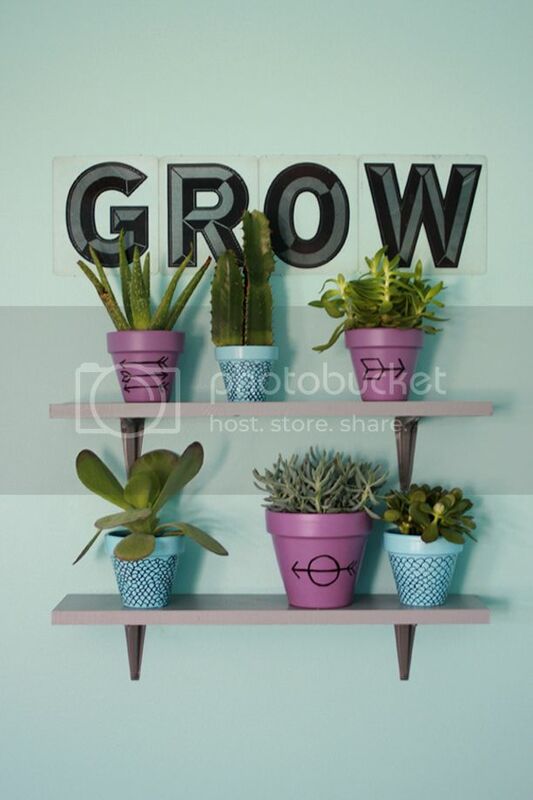 Recently, i read that you can put a tray covered in foil under your plants to help them get more sun if they are not by a window, Im definitely going to be doing this because the shelf is in the corner. Talk to them! HA I’m not crazy I swear! But I name all my plants and talk to them on occasion and it at the very least helps me to remember to water them when I’m supposed to!